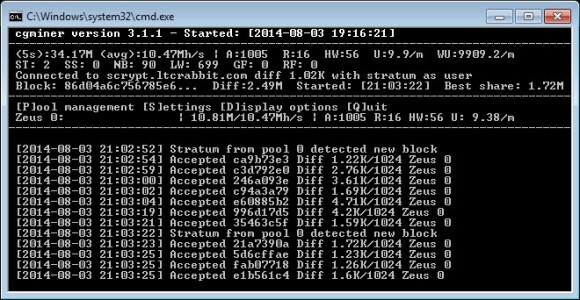 The ZeusMiner Hurricane X6 is the new lower power Scrypt ASIC miner from Zeus that is supposed to be offering 9-10 MHS hashrate with a power usage of about 230 Watt. 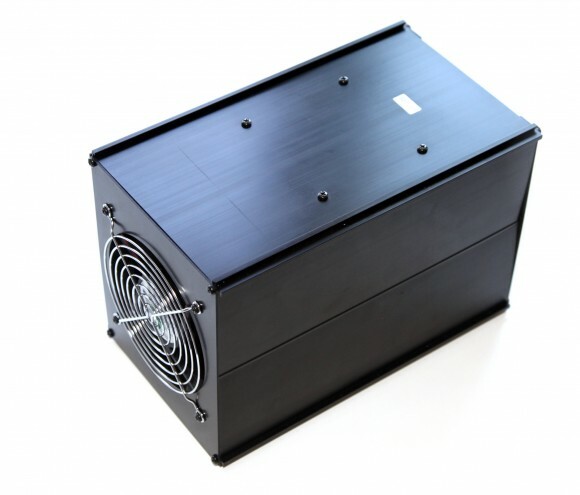 The previous ZeusMiner Hurricane X3 that the new miner is based on provided 14-15 MHS with 460W of power usage according to the official specifications. So the new lower power X6 miner is supposed to offer 2/3 of the performance with about half of the power usage according to Zeus and this has been achieved by reducing the operating voltage and frequency of the chips in new miners with the number of Scrypt ASIC chips inside remaining the same. Now, if this has to been done with a significant reduction of the price of the new miners they might not have been so interesting, but the new price with the lower power usage does still make ZeusMiner an attractive choice for miners. The case of the Hurricane X6 miner and the insides – two blades with 32 chips each or a total of 64 chips are also the same as on the previous Hurricane X6 miners. The main difference is that the operating voltage of the new Hurricane X6 miners has been lowered to 1.1V and thus Zeus recommends the maximum operating frequency to not exceed 248 MHz. 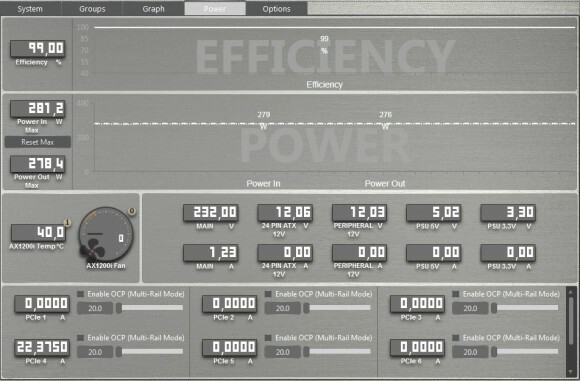 You are able to set higher frequency though the software, however the results will not be very good as the level of HW errors you get will grow significantly. It seems that generally the ZeusMiner Scrypt ASICs are prone to more HW errors than we are normally used to see in ASIC miners, but they do seem to work just fine with an average HW error rate of about 5%. Here you can see the actual power usage of the ZeusMiner Hurricane X6 that we have measured with our unit running at 250 MHz operating frequency of the chips. 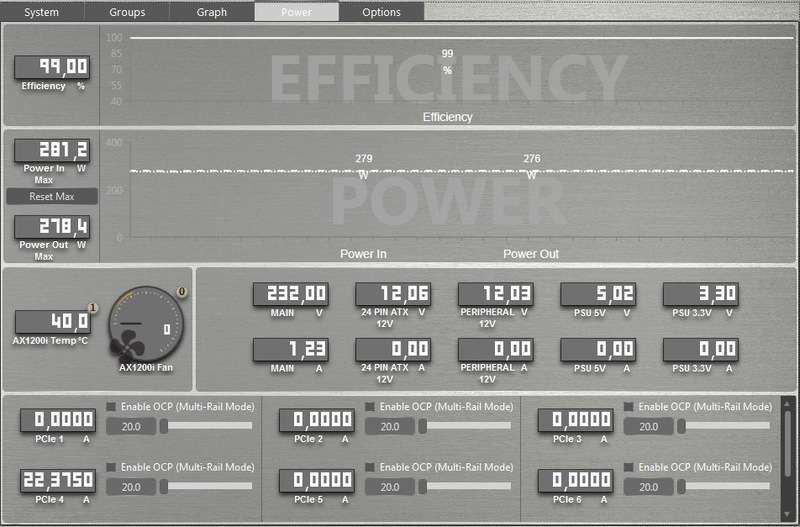 The actual power consumption we got was 276-278 Watts with a slightly higher power usage measured at the wall due to the very high efficiency of the PSU we have used at the load that the miner has on the 1200W power supply. This is a bit higher than the officially stated 230 Watts of power usage, but at that frequency we are also getting slightly higher performance than the one stated at the official specs, though the HW error rate was a bit higher than what we would like to see as well. What actually worries us a bit is that the device is powered via a single 6-pin PCI-E power connector and a power usage so high is already way above the official ratings of these power connectors. 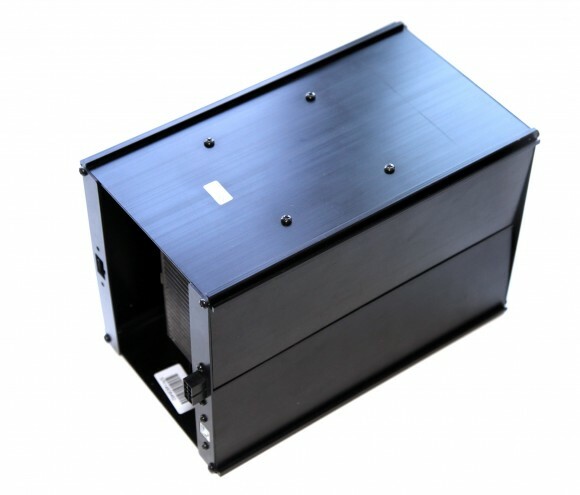 Even though physically these connectors are normally able to handle power of up to 300W, the PSU manufacturers are not required to design their products to handle such high loads. So with high-end power supplies you will most likely not have trouble, however on not so good quality PSUs you may have the cables overhead and melt causing a short circuit and damaging your hardware. So we advise you to check the power cable by touching it after you start the miner and if the cable is just slightly warm to the tough you should be Ok, but if it quickly feels hot or even very hot, then you may have trouble and better go for a higher quality power supply. Even though the power usage of the Hurricane X6 is not so high, the fact that the device uses a single powerful 120mm fan that pulls air though the case of the miner and the cooling radiators inside it makes the miner a bit noisy. 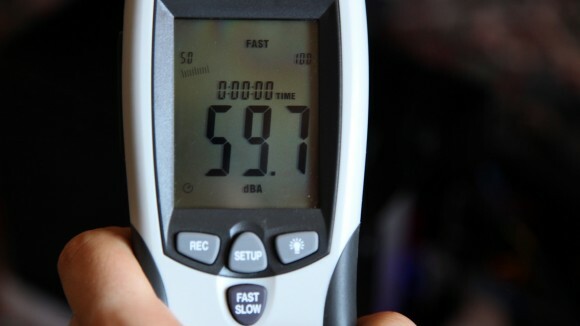 Not as noisier as the larger and more powerful X6 miners, but still a noise at around 60 Decibels that we have measured makes the miner not suitable to be used in your living room or even as some miners do – place it in the bedroom. We are going to try to do a dual fan modification for push-pull type of cooling in order to reduce the noise from the cooling of the device while maintaining low operating temperatures, so stay tuned for more information on these experiments later on. Here is the situation with the Hurricane X6 running at 250 MHz using the new cgminer 3.1.1 with ZeusMiner X6 support for Windows. The HW error rate we are getting at 250 MHz is about 5.5% average, a bit high than we would like, but apparently acceptable for the ZeusMiner. Going down all the way down to 230 MHz we have managed to reduce the level of HW errors we are getting to between 4.5% and 5%, so not that much of a difference, however the reduction in terms of hashrate is more significant as we go to lower operating frequency. So even with a bit more HW error rate 248 or 250 MHz seems to be the better choice, though you should test your miner as there could be some variation in the results you are getting. These are the poolside results average at the LTC Rabbit Scrypt mining pool using the new fixed difficulty port with 1024 difficulty for Scrypt ASIC miners and the Hurricane X6 running at 250 MHz operating frequency. We’ve observed the hashrate reported by the pool varying between about 9.6 MHS and 12 MHs, but the good thing is that even with the higher number of HW errors an average hashrate of 10+ MHS is achievable with this miner. Our conclusion about the Hurricane X6 is that it is a nice and more affordable device that works and performs well and meets the advertised hashrate, though the power usage may be a bit higher. We do have a bit of a warning regarding the actual power consumption and would preferred to see the device using two instead of a single 6-pin PCI-E power connector, but if you are careful enough about the PSU you use that should not be a problem. The only drawback that the Hurricane X6 already has is that at the performance level it offers and the current LTC network difficulty it will be making you less than 0.5 LTC per day if you are mining Litecoin directly. Still it is a more affordable solution for smaller miners to get into Scrypt ASIC mining without too big of an investment and you can possibly increase the profit you get with it by mining altcoins or selling hashrate if that turns out to be more profitable.